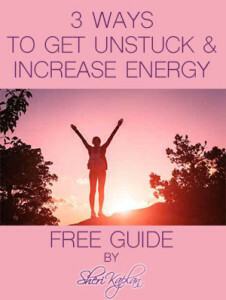 Discover How To Free Up and Get Rid of Any Blockage or Stagnation Within Yourself. You will learn how to release and recharge by restoring your energy levels by letting go of your fears and becoming more focused and grounded so you can truly walk in your purpose. How To Clear Negative Emotions, Limiting Beliefs and Blockages. How To Do Space Clearing In Your Home After Intense Event With Negative Energy. How To Remove Any Obstacles or Bad Energy From Your Path.